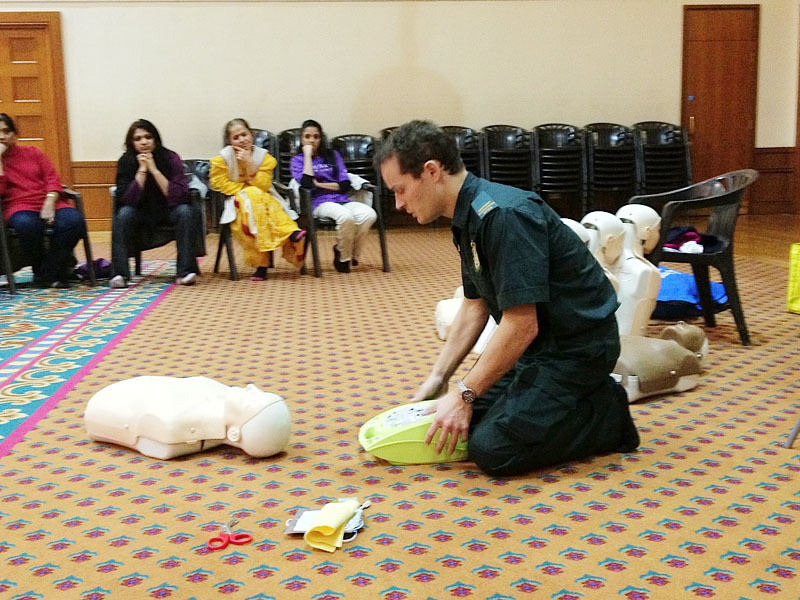 BAPS Charities UK has teamed up with the London Ambulance Service to provide Emergency Life Support training through Heartstart, an important initiative by the British Heart Foundation teaching basic skills that save lives in a life-threatening emergency. DID YOU KNOW: A person in the UK has a heart attack every 2 minutes. In 30% of cases, the patient dies before he or she reaches the hospital. 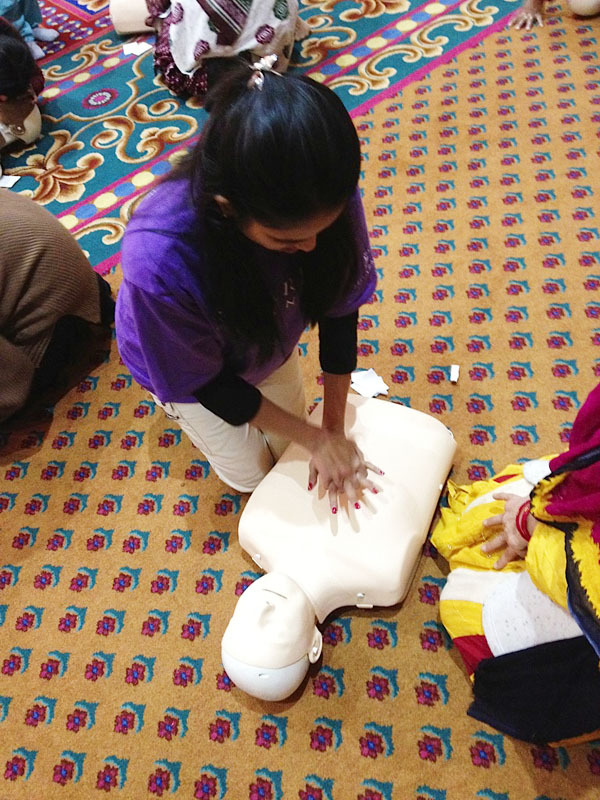 Chances for survival can be more than doubled if symptoms are identified early and CPR (cardiopulmonary resuscitation) and defibrillation are performed before paramedics arrive at the scene. 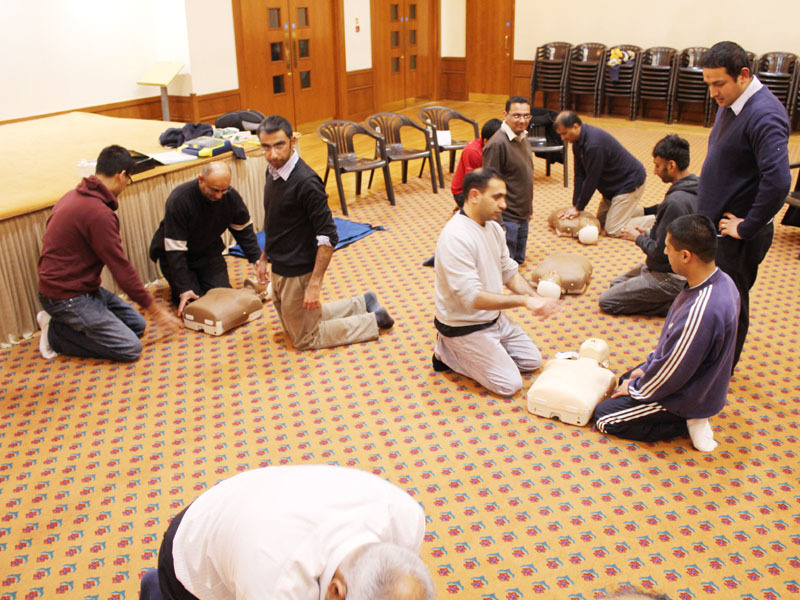 The Emergency Life Support (ELS) course covers not only CPR training but also teaches other vital skills such as recognising a heart attack, dealing with choking and serious bleeding, assessing an unconscious casualty, and helping during cardiac arrest. 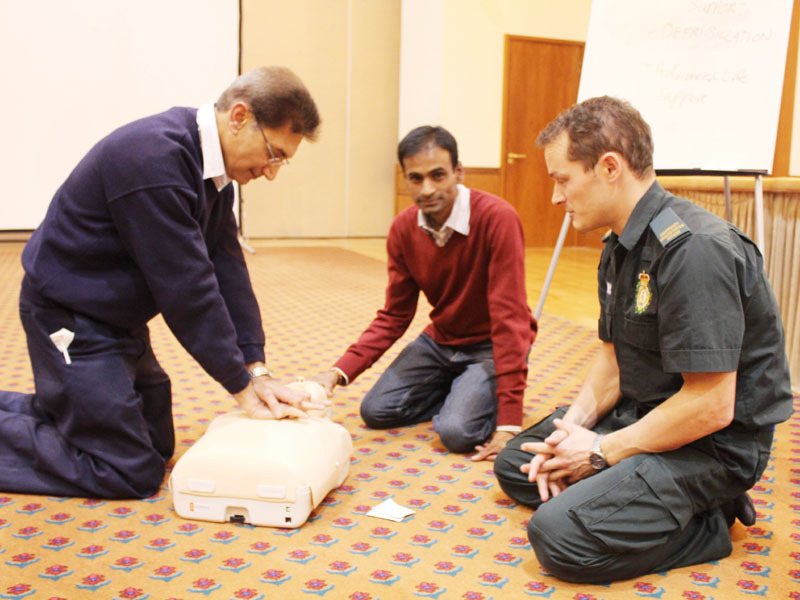 During November and December 2011, Malcolm Ritchie, a Community Resuscitation Training Officer from the London Ambulance Service, led an ELS programme which trained six BAPS Charities volunteers to become Heartstart instructors. 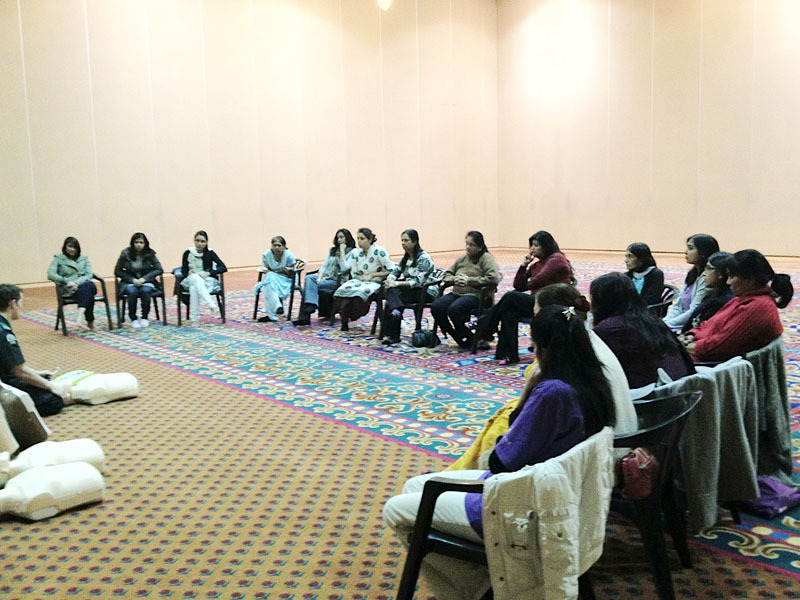 These trained volunteers have gone on to conduct the course on five occasions and already taught ELS to a further 58 volunteers at BAPS Shri Swaminarayan Mandir in London. 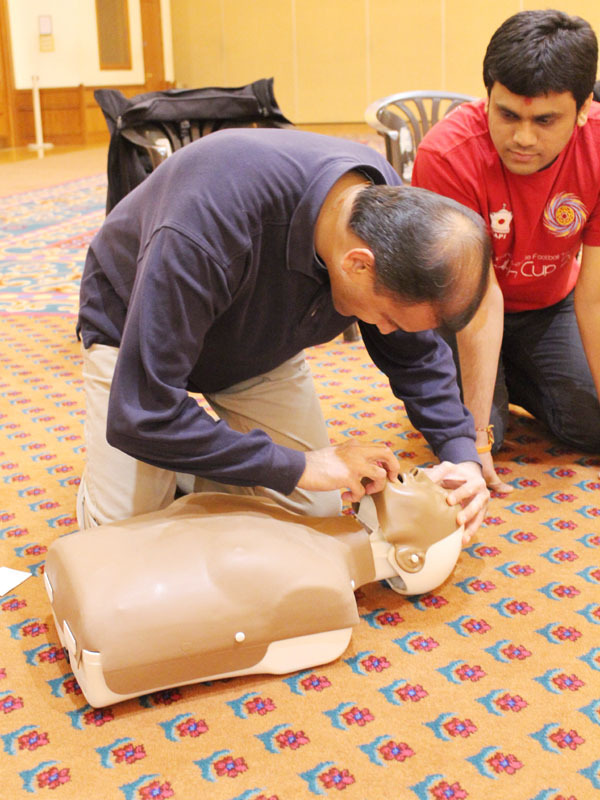 The course, which follows current Resuscitation Council (UK) guidelines, will continue to run at the Mandir to raise awareness about ELS and train additional volunteers and members of the community. 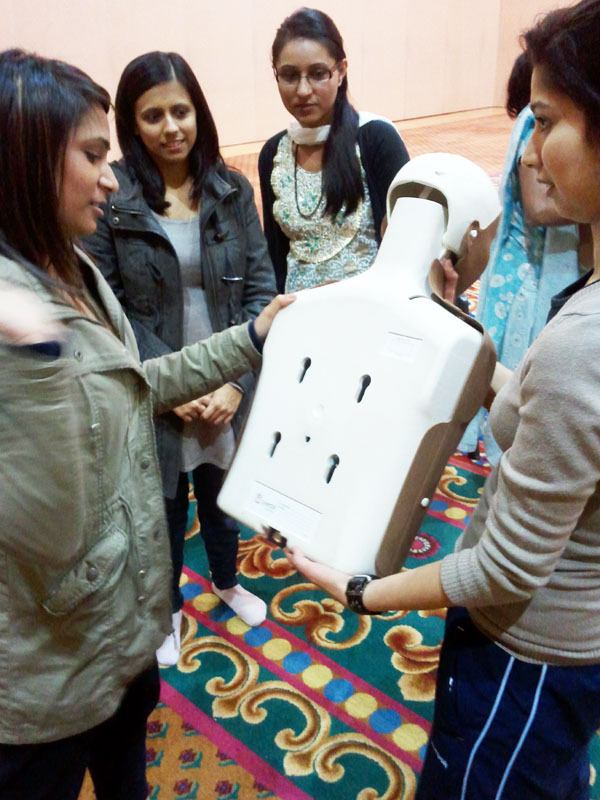 BAPS Charities’ ongoing partnership with the British Heart Foundation has led the BHF to also provide complimentary training equipment for the course. To learn more about the British Heart Foundation’s Heartstart initiative and the London Ambulance Service, please follow the respective links.